Home » News » Friend De la Parure Top Stud ~Dog World & Royal Canin ranking ~ 6th time! Friend De la Parure Top Stud ~Dog World & Royal Canin ranking ~ 6th time! So proud Champion Friend De la Parure did it again. Top Stud Dog 2014 in the Dog World / Royal Canin competition in the UK. Not once, twice, third, fourth, fifth but for the sixth time……..unparallelled! 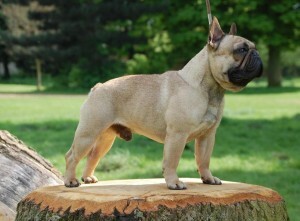 He has had a huge impact on the modern and successful UK French bulldog which we see nowadays. Congrats to all involved and keep up the good work!